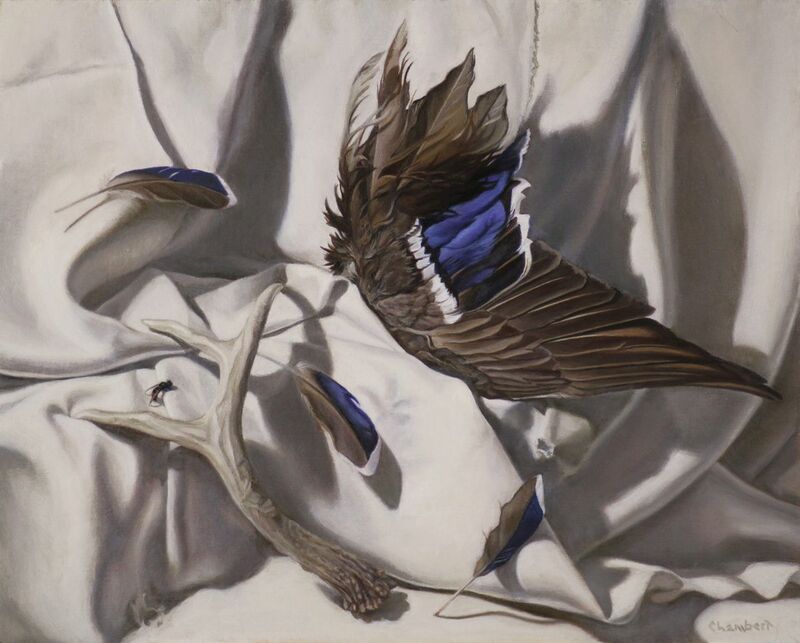 “Wing and Antler,” by Carol Lambert (oil on a linen panel). September in Alaska marks a time of transition, when the blithe sweetness of summer fades and the bleak prospect of winter looms. Skeins of geese pass overhead, reminding people to shift into high gear, finish projects, make repairs, prepare home and machines and wardrobes for the impending turn of temperatures. It's a time in the northern part of the world when the foresighted prepare for frost on windshields and the philosophically inclined ruminate on the frost of existence, reflecting on practical and metaphorical implications of the stark shift from long days to long nights. Artists have a long tradition of expressing and articulating this mood, a mix of idea and emotion. Still lifes are perhaps the most familiar examples: depictions of cut flowers, plucked fruits, harvested vegetables, dead ducks and other (usually) biological items that have been removed from the living and will soon decay (or be eaten). Such studies are said to convey the idea that all things are impermanent, that time moves on and that sooner or later the viewer, too, will be no more. "Memento mori," Latin for "remember, you will die," is the term sometimes applied to the general concept. 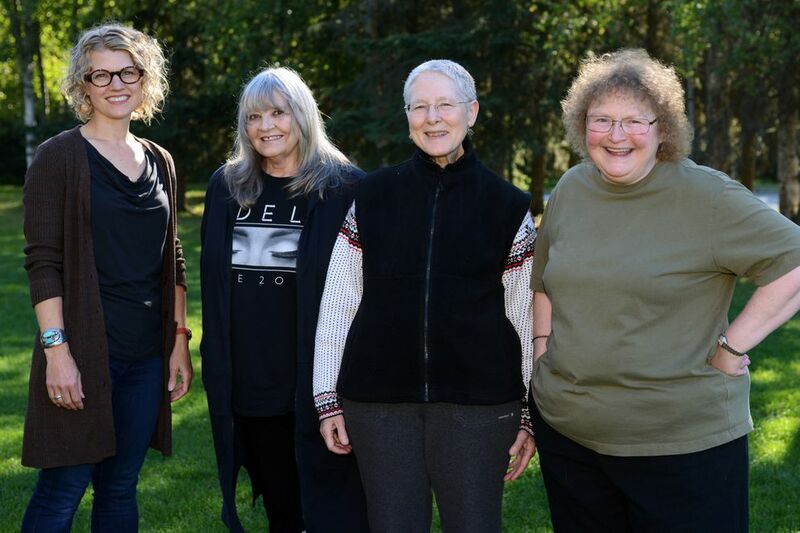 It's also the genesis for a show by four noteworthy Alaska artists on view at Alaska Pacific University this month titled "Fragments of Time." Planning for the exhibit began over tea at the studio of K.N. Goodrich. "Carol Lambert and I were here talking about the tradition of memento mori and still lifes," she said. "We decided we'd go ahead and put together a show about it." They settled on the theme and title of the show and Goodrich took the lead as the curator. The final show features four similarly sized pieces from each of the four participants, each using a different approach. "I was surprised to see how differently everyone approached it," Goodrich said. "In the end, Carol was the only one who came up with still lifes." Goodrich called Lambert's paintings "hyper-realism." They include some of the familiar material of the genre, skeletons and dead birds, the latter being particularly poignant for her. "I had done three and was kind of out of ideas," she said. "Then, while I was sitting in my studio in late June, I heard a thunk." A young robin had hit her window. She went out to investigate. "It didn't look like a good candidate for being revived, but I picked it up and thought, 'Well, maybe.' It was still warm, its heart still beating. And it was calm in my hand." Then it suddenly went limp and she knew its life was over. She posed the body and painted it over the next several days, keeping it fresh in the freezer between sessions. The resulting painting is "a memorial about springtime and young birds and their fragility," she said. Lambert's other paintings approach the subject in distinct ways. "Eighteen Destinations" has what seems to be a live beetle crawling over assorted baubles and leaves. "It suggests movement in a still life," she said. Another features a blooming amaryllis next to a black-clad skeleton. "People who know how to do this can get an amaryllis bulb to come back to life over and over again. Putting it with the skeleton is a way to show death and life holding hands." Such subjects, stressing the vanity of life, are no longer in fashion, she conceded, but were once very popular. She documented the painting of that picture in a YouTube video. "For a still life artist, every painting is a fragment of time," Lambert said. "It freezes time and gives the viewer the chance to contemplate what is there beyond the moment." The semi-abstract paintings of Mary Ida Henrikson seem worlds apart from the detailed realism of Lambert's work, but the two are close friends. "We met in like 1970 at grad school in California," Henrikson said. "Actually, Mary Ida was in grad school," Lambert said. "I was putting my husband through grad school. It's what we did in those days. I'd never been to Alaska at that time but she kept talking about how wonderful Alaska was." Henrikson was born and still lives in Ketchikan. In her girlhood The Alaska Sportsman (now Alaska Magazine) was published there and a number of local writers, photographers and artists had work in its pages. "I honestly grew up thinking that being an artist was normal," she said. Of the people involved with "Fragments of Time," Henrikson will be the least familiar to people who take in Anchorage art shows. "I get in the All Alaska juried show about once or twice a decade," she said. "I probably haven't had a show in Anchorage since the '70s. I prefer isolation, myself." In fact her trip to Anchorage for the opening of the show will be the first time she and Lambert have met in person since their college years. The two only reconnected on social media recently. It was at Lambert's suggestion that Goodrich contacted Henrikson to "complete our quad." The Ketchikan artist was so unknown in Anchorage that "(Goodrich) had to research me," Henrikson said. Fortunately she's shown extensively outside her hometown in the Lower 48. "The timing was perfect," Henrikson said. "I was deconstructing space and adding fragments into it based on a lot of things we've been doing here in Southeast, like cleaning up the debris on the beaches, fish swimming through fragments. I was already doing the show, just doing it in the wrong size." She'd been working on pieces up to 40 inches wide, but the art for the Anchorage show would need to be "USPS-able," she said, more like 16 by 20 inches. She finished two pieces about fish and two pieces depicting the marine outcropping known as New Eddystone Rock, a basalt plug created by volcanic action eons ago. To the artist, it represents "the atmosphere of creation, chaos in destruction and creation, the breaking down of space and reconstructing it." Goodrich described her own contributions as "symbolic narrative figuration." Her work in recent years has often focused on derelict buildings, like a deserted Kenai-area motel. Such architectural portraits are also part of the memento mori tradition. 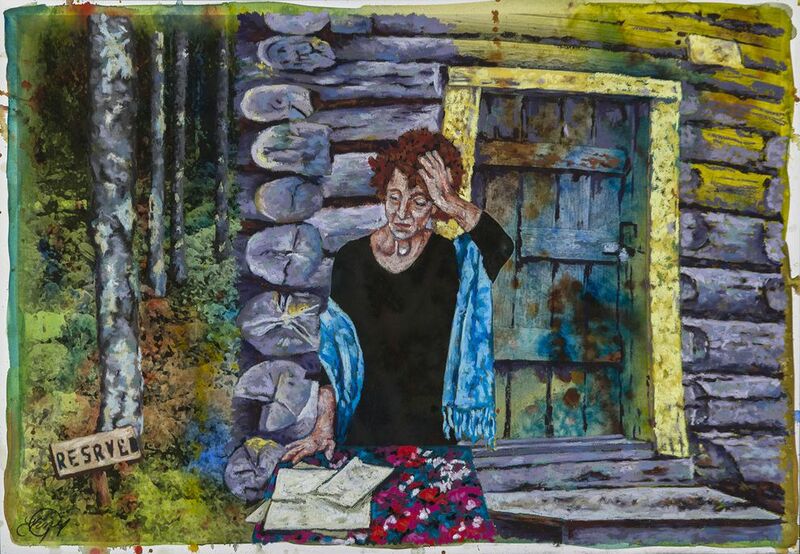 But in "Springs Eternal," which features a slumping but apparently still useful cabin in the woods, the main figure is a woman who looks more worn out than the cabin. Clearly there's a story here, but Goodrich didn't want to reveal too much. "I've tried to maintain the mystery in my paintings," she said. The fourth member of the "quad" is perhaps the best-known — fabric artist Amy Meissner, a winner in the 35th All Alaska Juried Art Show, who has had several solo shows in recent years and attained national recognition. "I reached out to Amy because I wanted a mix of styles to address this theme," Goodrich said. As with Henrikson, the solicitation was propitiously timed. For the past year or so Meissner has been crowd-sourcing material for a big installation, "The Inheritance Project," which we can expect to see come to fruition in the next couple of years. "I asked people, 'If you have abandoned textiles, something from your grandmother, something no one wants to keep, I will be the inheritor if no one else will,' " Meissner said. "And people have sent me cloths from all over the world. England, Ireland, France, Canada, Pakistan. All from women who feel this cloth is too valuable to throw away. "Along with the cloth has come this flood of narratives and themes, of having to choose what to keep and not to keep, the guilt of inheritance. People said, 'I know it's important and made by hand and made by the women in my family, but it's just in a trunk.' So they gave it to me. The backbone of my work is other women's work." Though the material is intended for her big project, enough has arrived that some can be used for "Fragments of Time." "The four pieces I did for APU were inspired by a sampler that came to me from Canada," she said. "It had like 30 or 40 small crocheted samples, all hand-sewn onto this crumbling piece of red cotton chintz. It had such an amazing quality to it. My first impulse when I looked at it, all these little bits, it reminded me of fetuses. That was the jumping-off point for the show, four gestation pieces." She likened sewing to pregnancy. "There's a huge amount of hope and vision for what it's going to be," she said. "All the things you're going to do for this child," that, to her, relate to the clothwork that, in former days, consumed "hours and hours of a woman's life." Gestation 1 by Amy Meissner. None of the four had connected their work to the change of seasons or the upcoming equinox. At the time planning began they didn't even have a clear date for the show, Lambert said. But Meissner said the autumnal spirit of the show was inevitable, given the topic of the unstoppable passage of time. "For people who have lived in Alaska, I think, you're so in touch with it that you're sensing it even when you're not counting down to the day," she said. "So this idea of fragments of time for me had a material base to it, rather than an image," she continued. "I feel really strongly about using the old cloth for personal reasons, economical reasons, environmental reasons." She recounted the story told to her by a contact who didn't have any cloth to send her, but wanted her to know the story of her mother-in-law. When the older woman was moving to smaller quarters, she spent the weekend with her daughter-in-law going though a trove of linen, trying to decide what to keep and what to discard. With every piece, the old woman recounted what year it was made, what was the context in which she had come by it. Each piece had a story beyond its function. "There's a lot buried in that work," Meissner said. "All those things that a woman couldn't say or couldn't do is buried in these stitches. Now when I go into a fabric store it feels like there's so much cloth in the world. Why would we want any more? We don't value time-consuming work that's done by hand. We don't keep things for that long any more." 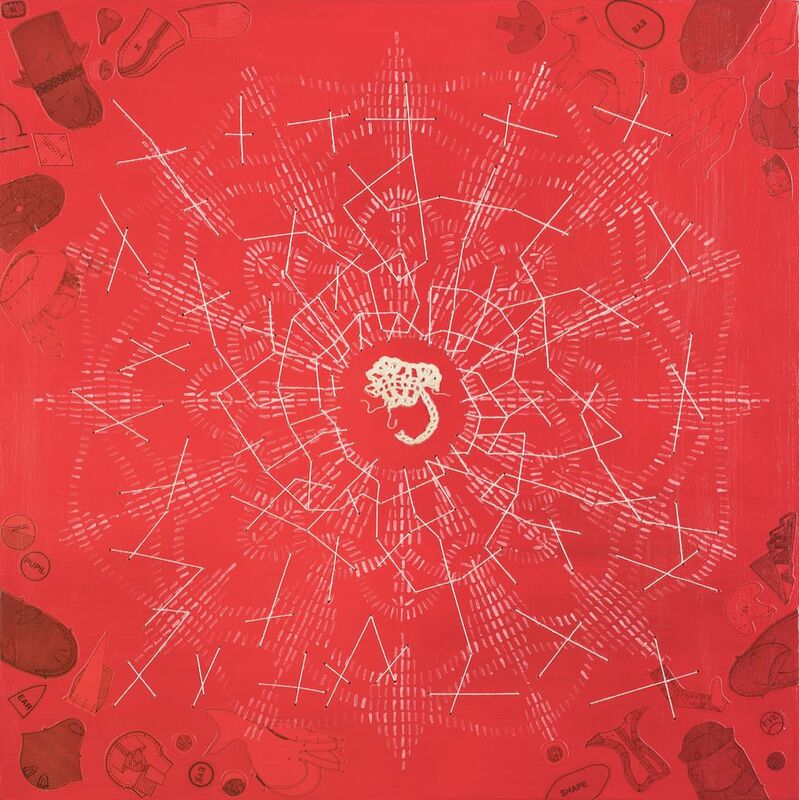 FRAGMENTS OF TIME will open with a reception at 5 p.m. on Friday, Sept. 2. It will be on display in the Carr Gottstein Academic Center of Alaska Pacific University through the month of September. 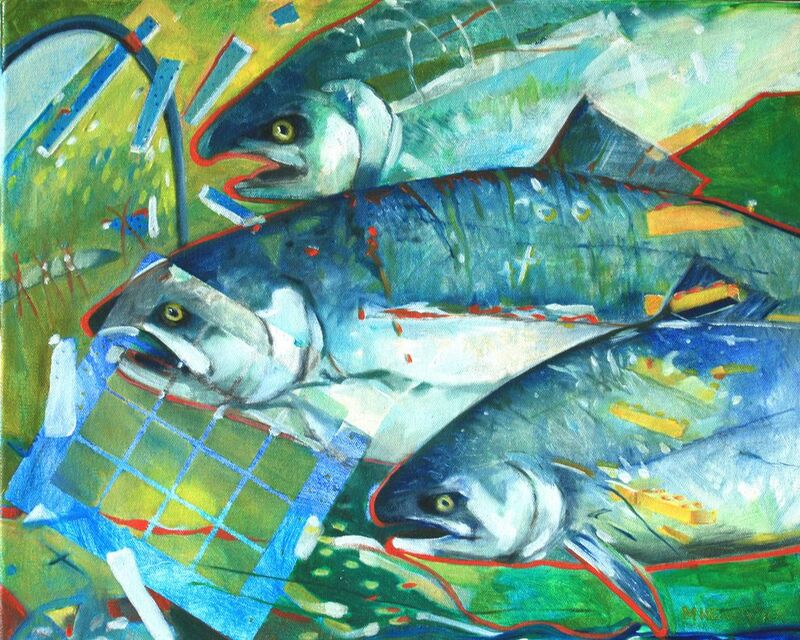 A show of paintings by Teri Jo Hedman will be on display at the adjacent Grant Hall Gallery at the same time.